January 22 marks the 45 anniversary of Roe v. Wade, the Supreme Court decision that guaranteed the legal right to obtain an abortion in the United States. A target for conservative, anti-abortion politicians and candidates, the ruling has become one of the most fiercely debated and challenged decisions of our generation. For now, abortion supporters have been able to protect the legal right to an abortion, but lawmakers across the country are finding new ways to attack Roe v. Wade and limit access to abortion. While the right to abortion is crucial, it is meaningless if exercising that right is logistically and financially impossible. For many, accessing an abortion is difficult, but it’s an uphill and often impossible battle for people who are incarcerated. Trust me, I know. When I was incarcerated, I was denied an abortion when I asked for one, even though it’s nearly impossible for those who are in prison to access basic prenatal care. Preventative healthcare access is rapidly becoming a myth, especially for women living inside the prison walls. 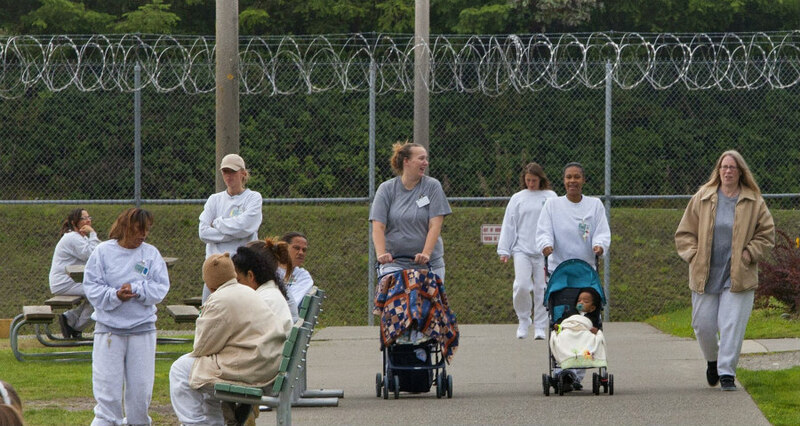 Currently, there are just under 50,000 prisoners in Ohio, more than 4,000 of whom are female. 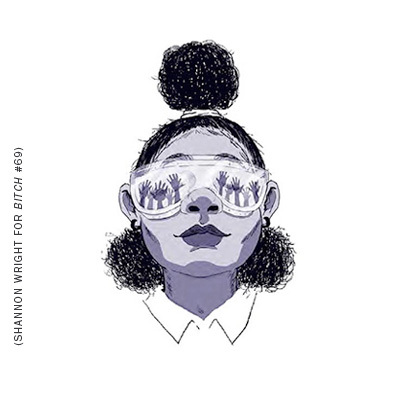 Most people are aware that health conditions for people in jail are horrendous, but many are surprised to learn that the system’s shortcomings are even more significant and devastating for people who are pregnant. 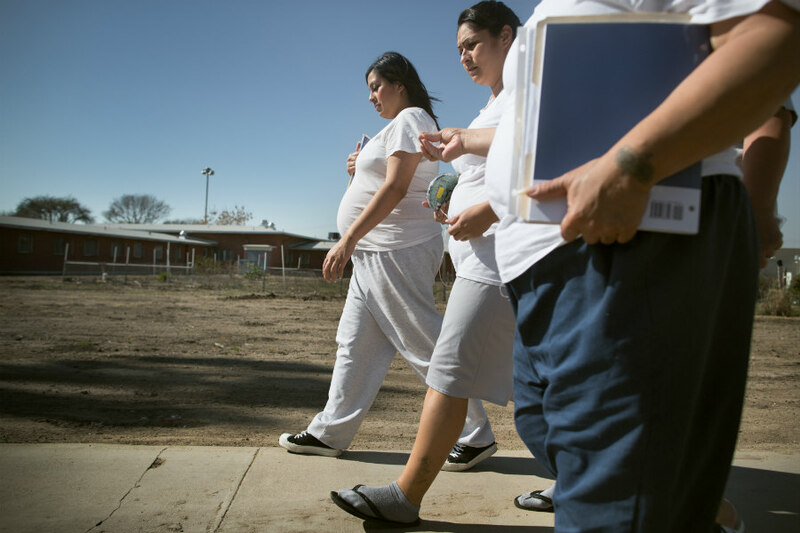 One in 25 female inmates in state prisons are pregnant when they arrive. While many people boast that our country offers the best healthcare available, that claim couldn’t be further from the truth for people experiencing pregnancy while incarcerated. I found out I was pregnant during the intake process. A nurse yelled, “Tell her it’s positive,” from another room. That was it. I had no choice but to keep moving through the intake process while my head was spinning. I was already having trouble processing the fact that I was jail—I’d been convicted of a minor, nonviolent crime and even my lawyer was shocked that my sentence included any jail time—and now they were telling me I was pregnant? I desperately needed to talk to my boyfriend, my family, a friend, anyone, but I couldn’t. I was totally on my own. Later that night, when I finally had some time and space to think about the news, I came to the conclusion that while I loved my boyfriend and thought that we would be good parents, this wasn’t the right time for us to raise a child. I wanted to finish college. I wanted to become a parent eventually, but on my terms, under happy circumstances. Being pregnant in jail felt cold, terrifying, and wrong. Like my first abortion, I knew what I wanted. I wanted to have an abortion. The jail kept all of the pregnant prisoners confined to one area called the Pregnancy Pod. When I got there it was completely overflowing with pregnant women who outnumbered the available beds—50 women in a pod that holds 30. The lucky ones got to climb cement blocks to sleep on a paper thin mattress with coils sticking through. The unlucky ones just slept on the floor. Even though the jail was legally required to provide us with food that met our nutritional needs, our meals often consisted of a shared banana and a single carton of milk. The cells in the pregnancy pod didn’t have toilets. If we needed to use the bathroom, we had to wait until we were allowed to leave our cells. Guards forced us to wait for hours if we needed to go. When you have a growing uterus pushing on your full bladder, being forced to wait for hours is pure torture. I was locked in the pregnancy pod for about two weeks before I was able to visit a healthcare provider. During those two weeks, I had no idea how far along I was, and I didn’t have access to prenatal vitamins or any sort of medical care. As soon as I arrived for my appointment, I made it very clear that I wanted to have an abortion. The jail staff told me it wasn’t possible, “you’re only here 60 days,” they said, and if I wanted to have an abortion, I’d have to wait until I got out. I am not the only one. While several courts have held that incarcerated women have the right to an abortion, many women aren’t able to get them because sheriffs refuse to pay for the transportation costs or monitoring, which is added to the cost of the abortion and totals tens of thousands of dollars. When I was released, I was around 20 weeks, so I was around 12 weeks when I went in. If that had happened now, I wouldn’t have been able to get an abortion because Ohio now bans abortion at 20 weeks, with no exceptions, a clear violation of Roe v. Wade, which legalized abortion until viability (between 24 and 28 weeks). What happens to the women who are asking for abortions, think they might be able to get one when they get out, and find that their constitutional right has been stolen from them? When I asked about an ultrasound, they told me it would take too long to schedule and that I wasn’t allowed to leave the jail to get it done. Because of cost and logistics, we only got one ultrasound. Some women complained about not being able to see their babies until just before they gave birth. Most incarcerated people are on Medicaid, which means we didn’t receive much of the care we needed. It was clear that those of us without insurance or who were on Medicaid were treated with the least amount of empathy or compassion. If you’re going to force women to continue a pregnancy they don’t want, shouldn’t you at least offer them the healthcare and nutrition they need to have a healthy pregnancy? So there I sat for 60 days, pregnant against my will and kept from receiving adequate nutrition, prenatal care, or prenatal testing. It was the most terrifying time in my life. As time passed, I began to realize that my pregnancy might be too far along to terminate once I was released. I was about to become a mother, whether I wanted to or not. I was scared for myself, and I was also scared for my baby. I’ve made the best of my situation, and I love my son dearly, but I’ll never forget the trauma of being forced into motherhood while simultaneously being denied the ability to properly care for myself or my baby. I can’t imagine what it’s like for the women who are still in there, going through their entire pregnancy, alone and isolated. Sadly, this is going to become the norm as more and more jails are ending in-person visitation, and using a private, for-profit company’s system for video conferencing. For $13 per call, people can see their families over a video phone for only 20 minutes. No more hugs with our kids, parents, fiancés and husbands. No more holding hands while we talk. No more feeling the baby kick. This isolation has an impact on our mental and physical health. I can’t imagine how this inhumane policy would have impacted my health while I was incarcerated. In jails, we are denied so many basic human rights. It’s an injustice and human rights crisis in our own backyards. It’s been a few years, my son is older and I’m pregnant again, with a baby girl due in April. This time it’s on my terms, the way it should be. As we mark the 45 anniversary of Roe v. Wade, I want people to commit their time and energy to making abortion not just legal, but accessible for everyone. Not just people who look like us or talk like us, or have the same religion or income. Everyone should have unfettered access. Everyone loves someone who has had an abortion. The people who love us must know that we are living our own lives, with our own families, and need to make our own decisions or else we all lose to the constant obstacles that harm the most precarious of us. People who have been incarcerated are often the easiest targets by politicians to take something as basic as abortion away from. It’s time everyone rises up for us. It’s time to rise up for Roe. Kay Winston is an Abortion Storyteller with We Testify, a leadership program of the National Network of Abortion Funds. Having Congress, The White House, the Supreme Court and most of the states in the nation all under one party’s control? That’s more alarming, and signals real danger for abortion rights.